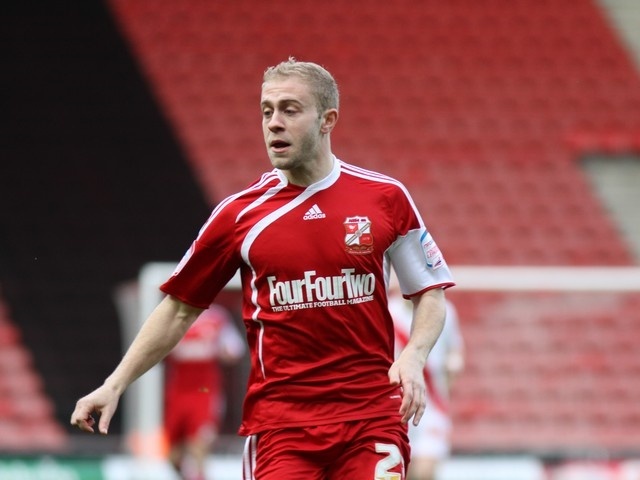 Mike Grella played 90 minutes in midweek but couldn’t prevent Swindon losing 1-0. On Saturday however he fared better, grabbing his first goal for Swindon with a fantastic lobbed goal. He could have had another but saw his brilliant curling effort palmed away by the ‘keeper. He was also playing his part in creating chances, slipping ex-White David Prutton through on goal with a precise through ball only for Prutton to come out second best to the ‘keeper. Grella later picked up a yellow card and was substituted in the 79th minute (to the bemusement of many Swindon fans) only to see his goal cancelled out by a late Dagenham and Redbridge equaliser. There seems to have been a mostly positive response to Grella by Swindon fans with many naming him as the stand out player in their recent games. Aidy White has worked his way back into the starting eleven as Oldham’s slump continues. He played 76 minutes in midweek and 88 minutes on Saturday as they went down to Sheffield Wednesday and Leyton Orient. Tom Lees continues to impress in League Two, playing ninety minutes and helping Bury to a fourth successive clean sheet. The youngster was popping up at both ends, first clearing well of his own goal line and then missing a golden opportunity at the other end as inexplicably shot wide from close range when he should have scored. Will Hatfield came off the bench in the 64th minute for York City in their 1-0 win over Eastbourne Borough. Fede Bessone remains injured and missed both Charlton’s midweek and weekend games.